Osmunda javanica Blume, Enum. Pl. Javae 252. 1828; Holttum, Rev. Fl. Malaya, ed. 2, 2: 47. 1968; ; Boonkerd & Pollawatn, Pterid. Thailand: 77. 2000; Boonkerd et al., Thai For. Bull. (Bot.) 32: 9. 2004; Newman et al., Checkl. Vasc. Pl. Lao PDR: 29. 2007; Jaman, Fl. Pen. Malaysia, Ser. I, Ferns & Lycoph. 1: 96. 2010. – Type: Anonymous s.n., Java, G. Salak (holotye L, accession number 908310172). Osmunda vachellii Hook., Icon. Pl. : t. 15. 1837; Tardieu & C.Chr., Fl. Indo-Chine 7(2): 31, f. 2.2 & 2.3. 1939; Ching, Fl. Reipubl. Popularis Sin. 2: 84, pl. 4, f. 5 & 6. 1959; Tagawa & K.Iwats., SouthE. Asian Stud. 5: 33. 1967; Tagawa & K.Iwats., Fl. Thailand 3: 46. 1979; Boonkerd & Pollawatn, Pterid. Thailand: 77. 2000; Jaman, Fl. Pen. Malaysia, Ser. I, Ferns & Lycoph. 1: 98. 2010. Rhizome short, suberect, with fronds in a tuft, covered with downy, pale brown hairs when young. Stipes stramineous, 40–50(–70) cm long, 5–7 mm in diameter, glabrous or with persistent downy hairs; laminae lanceolate, moderately acute at apex, up to 120 cm long, to 35 cm or more in width, with numerous lateral pinnae and a terminal pinna; lateral pinnae to 22 pairs, with angles of 45–70º to rachis, straight, linear, gradually narrowing to acuminate apex, cuneate and shortly stalked at base, stalks less than 5 mm in length, margin entire or very slightly waved, the biggest ones more than 20 cm long, to 2.4 cm broad, coriaceous in texture; costae distinct especially on the under surface, the veins two or three times dichotomously branching, basal posterior veinlets usually running directly from the costae; fertile pinnae the lowermost in a frond or with only few sterile pinnae below the fertile, distinctly contracted , blackish brown after the spores have been shed. NORTHERN: Mae Hong Son, Chiang Mai; NORTH-EASTERN: Loei; EASTERN: Surin; SOUTH-EASTERN: Trat; PENINSULAR: Trang, Satun, Songkhla, Yala, Narathiwat. S and SW China, Burma, Vietnam, Cambodia, Peninsular Malaysia, Java. Wet ground or sandy stream-beds in open areas or in light shade at medium altitudes. Note.– Although Osmunda javanica and Osmunda vachellii are frequently distinguished in the literature we can find no consistent differences between them. 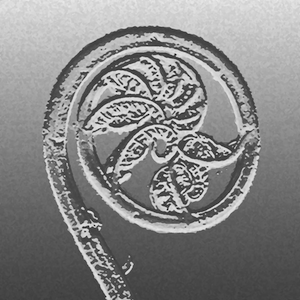 The character of whether the fertile pinnae are lowermost on the frond or whether there are sterile pinnae below the fertile is variable even within an individual plant. Middleton et al. 4967, Mae Hong Son, Mok Cham Pae vicinity (E); Middleton et al. 4619, Trat, Ko Chang, Trail from Khlong Phlu Ranger Station (E); Middleton et al. 5333, Songkhla, Ton Nga Chang Wildlife Sanctuary (E). Martin 1262, Siem Reap, Mt Kulen (P).